Need help? Get a forecast by email. 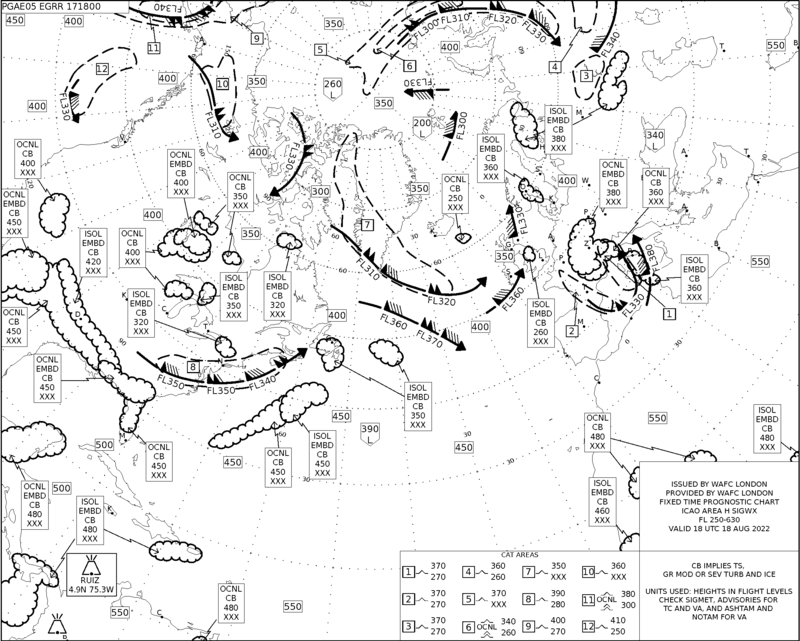 Another view of Atlantic Turbulence Areas by the WAFC London via Icelandic Meteorological Office. Also try Atlantic for color.